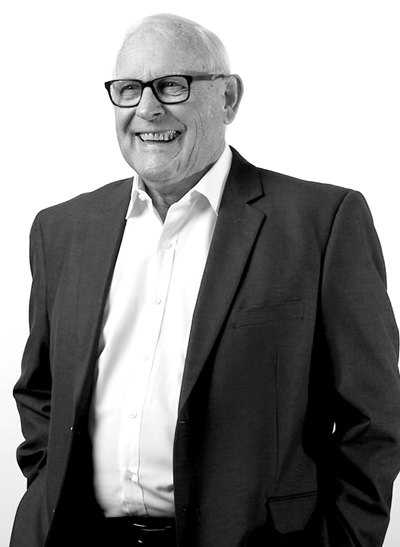 Bob McGillivray has been associated with Davey Real Estate for nearly 25 years and has sold properties throughout Perth’s northern suburbs. Whilst his main focus has been in selling in near suburbs around the Greenwood – Marangaroo areas, his experience has taken him to suburbs as far north as Butler and south to Port Kennedy. In his early years Bob sold many vacant land sites throughout Marangaroo, Alexander Heights and Madeley often leading to repeat business from many of that initial clientele. Bob became a licensed agent in 1996, ensuring longevity in the real estate industry. Having acted in Management and Licensee roles within the past 20 plus years, he has provided guidance, training and continued mentoring of new sales representatives endeavoring to make their mark in the real estate industry. Today’s focus as an experienced Salesperson is in ensuring that all past and present clients receive the exceptional service delivered throughout the greater part of his working life. Having worked in the timber and building supplies industry for over 20 years, prior to real estate, there has always been a strong focus on customer service. His sales experience and knowledge of property over a long period of time is exceptional. Outside of real estate, Bob is an ardent sporting fan of AFL football, cricket and golf. When time permits he enjoys the small white ball game at local courses, and is a regular participant in corporate golf events. He professes to having a love of roses, but has some way to go in being classed as an authority in gardening, but finds it extremely relaxing when opportunity is provided. Bob will continue to offer service, commitment and results to both future and past clients in all matters pertaining to real estate including advice, listing and selling, and property management and investment. we have known Bob McGillivray for over 30 years as he was the Davey Real Estate sales rep who we dealt with when we brought our first investment property in Girrawheen. During this time we have had numerous dealing with Bob and other staff at a number of Davey Real Estate offices. We have always found all the staff we have dealt with over the past 30 years to always be friendly and helpful. Bob always has an excellent customer service approach and we have built a relationship with Bob over the years to the point that we now regard Bob as a family friend. Also, we have achieved a great result in all transactions over the years when Bob is included. Always found Bob McGillivray very good at selling our homes and selling them at a good price. Most grateful to Bob for all his efforts over the years and would not hesitate to recommend him. He is an excellent trustworthy, honest and reputable Sales Consultant. Just wanted to write a small review of Bob's assistance during the purchase of our property. Our initial contact with Bob was on a house opening advertised on REIWA website, he was on time since our first visit and he provided us with a brief description of the property as well as the options available through Davey. Bob always maintained an open attitude and was never pushy. In our second visit we made the decision to place an offer on the property and from that moment he took us step by step the whole process. We were a bit sceptical at the beginning because we never did any purchase with a real estate agent before but he inspired us with confidence and answered our questions in a timely manner. We have nothing negative to say about him because he made our process very smooth and he went the extra mile when dealing with our lender and the sellers to resolve a small delay before getting the finance. We are very pleased and satisfied with his assistance not only because thanks to him we achieved our dream to own a house but also the house that we wanted to make our home. We look forward to hearing from him again and wish him success on his career. Thank you very much to Bob and Davey Real Estate. Bob McGillivray is an absolute legend! He has helped us to obtain our first house making the process very smooth and always with a professional attitude going the extra mile at every single stage. We are very satisfied with the results and very happy to recommend their services. Thanks for helping us Bob! If all real estate agents were as pleasant and honest as yourself the world would be a better place. We are more than happy with your results obtained for us! Desiree and I would like to take a moment of your time to acknowledge the excellent level of service that we have received from Bob McGillivray and Tracey Harrison. Both Bob and Tracey have been working together in harmony to to effectively rent and then sell our Marangaroo property while we have been traveling the country side. They have had our best interests at heart at all times and have obtained an excellent outcome for us given the current state of the Perth property market. We sincerely appreciate the efforts from both Bob and Tracey in which we have complete trust and would not hesitate to recommend them both. "Bob is an expert in this area and let us name our price, but agreed it wasn't too dear or too cheap. Bob is a friendly person, one feels one can talk to him like a friend." I would like to say that Bob McGillivray who was my agent in the matter of selling the house in Padbury was a pleasure to work with. I have never met Bob personally. It was a complicated procedure due to the fact that it was a deceased estate. We had to deal with the bank, the buyers, a settlement agent, and two lots of lawyers. Bob even arranged for a man to clean out a shed that had been neglected, and as I live in another state I was most grateful for this service. I was very satisfied, and even a little surprised, with the price that the house achieved, and I think Bob worked hard to achieve this. It was a stressful and emotional time for me and at all times Bob answered my questions and concerns with promptness, courtesy and patience. All phone calls and emails were speedily and courteously answered. So thank you Bob for a job well done. “Bob has been an absolute gem during our sales process. I was very specific with what we needed and the outcome we needed. We were in a tight situation and explaining the full story to Bob ensured he understood the urgency of the sale. After our initial meeting we started the ball rolling with 4 weeks of home opens with the auction being held on the fifth week. Our auction started slow but the auctioneer Bob employed was brilliant and really worked hard to get us to where we needed to be, we are very grateful. It was extremely comforting knowing we had Bob in our corner every step of the way. He did not fail to provide updates every step of the way, he even stopped into the property every now and then to check up on it knowing it was vacant. Bob also never hesitated to provide honest feedback, without that honest feedback we would have been stuck in fantasy land. Over all, our selling process was quick and painless, the process started mid-November with the auction in early December and settlement being completed early January. Elaine here, we received your report the other day and want to thank you very much for your comprehensive inspection and kind feedback. We feel that your price point was realistic in todays’ market and very much value your honest appraisal. It was a delight to meet you and we appreciate the time you took to gain an understanding of every aspect of our home. We now have a clearer understanding of the equity that’s in the property at this moment in time and this will help us in our future plans. It was so refreshing to meet someone who is so professional and experienced and whom I would have no hesitation in contacting when the time comes to downsize; in addition, I will happily recommend you to friends. Thanks again Bob, you are a delight! Drive Through Access! Huge Backyard!